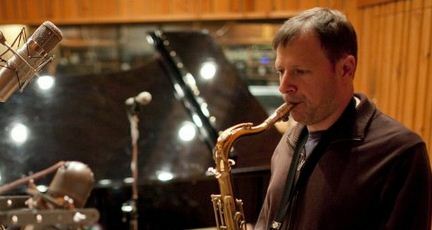 Eli Bennett has gotten in touch today with a fantastic new ebook of Chris Potter solo (ie. acapella) transcriptions that he was obviously worked very hard on. Its a 136 ebook with audio files available for download at no extra charge. $19.99 for a such a fine resource is a good price to day. All good jazz standards and Chris’s playing is more than good enough to be studied by all instrumentalists. You tenor players should love this especially though. Eli has self published this so all players and educators should support him and jump to get this, it’s really good.